Having a memorial service is a common and wonderful way to honor the memory of a loved one. As time goes on, people have continued to get more and more creative in their approach of a memorial service. Tailoring a service to represent the unique nature of an individual presents great opportunities for creative nature to be expressed. Because families are changing, memorial services have become more popular due to the population having a decreased affiliation with a church. One of the best things about a memorial service is the sheer versatility of them. Whether you have chosen to cremate or have a casket, memorial services can always be appropriate and fit in with the overall celebration and honoring of the deceased. Let’s take a look at some creative, fun ways to uniquely celebrate the memory of your loved one. Being a memorial service is designed to reflect the individual who passed, having a display themed around their favorite hobbies or passions can be a perfect way to express that. If your loved one had a taste or talent for art, displaying their pieces, whether canvas paintings, sculpture, or drawings, throughout the venue is a wonderful way to bring a tangible nature to the celebration. Feel free to get as big and creative with this as you would like. Favorite flowers or colors are always a good option, but there is a lot more ability to get specific. There can be themed displays using pictures, tangible pieces or collections, even cars. Choosing to do a service based on an individual’s passions is a perfect way to make the service memorable and can provide comfort to grieving family and friends. If the individual had multiple hobbies, look at making stations to honor each one. Make a collage of knick-knacks or collections. For example, if they had a collection of hot wheels when they were a kid, played guitar in their teens to twenties, and loved/rode motorcycles in their later years, have designated areas to show and explain each stage of their life. Consider even bringing their motorcycle to be a part of the service as a whole. As far as flowers are concerned, you can try to go all out and hire an expert arrangement specialist who can produce something that resembles what your loved one enjoyed the most, maybe a figure of the movie character they liked would be nice. Always think about the things that person liked and based on that, you can go all out with the flower arrangements. You can also try to keep a sense of humor when doing everything in the memorial service; witty ideas for these types of events always go a long way with all the guests. Red wine is the core standard alcoholic beverage to offer along with coffee and water. To honor your loved one, you will think about different types of drinks for the more festive individuals your loved one had in their life. For example, if your Uncle loved sweet Brandy Old Fashioneds, you could offer this to your attendants during the service. This will break the ice and inspire family and friends to share fond memories of the dearly departed. This is one of those unique funeral ideas that go a long way if you do it right, you could hire a band to play all the cover songs of your loved one’s favorite bands or simply make a playlist using iTunes or Spotify. Instead of a wake, you could throw a dance party with a DJ for the attendants to enjoy. This is one of those memorial service ideas that have many variations to play with; music is a great way to ignite memories of your loved one’s life. If are lucky enough to have access to a few snippets of video footage of your loved one’s life, no matter how insignificant, this is a great way to remember them. Hiring a service that puts together a video with music, photographs, and remembrances from family and friends is a fantastic way of leaving the guests with a lasting memory. This is another one of those great funeral ideas that will be very appreciated by all the attendants; you can even make copies for every person who took the time to visit the funeral and give one to all of them before they leave. Everyone has some passion that pushes them to collect certain memorabilia or items, having access to some of these elements could lead to another great memorial service idea. You can put together an installation where his most prized possessions are displayed for everyone to see. Maybe they collected baseball cards, or maybe they had some Star Wars first edition toys he kept still in their package. The suggestions are truly endless. You can even put together an altar that all the guests can visit and enjoy the person’s passion one last time before they say goodbye. In lieu of flowers, asking all guests to make a donation that will then go to a charity close to the heart of your loved on is a magnificent idea. This is perfect for memorial services of individuals who are always charitable during their lifetime; it is a great way to honor their memory and an excellent way to keep their charitable tradition alive. If the departed suffered from a specific type of illness, the fundraiser could maybe go to a foundation dedicated to treating individuals with this disease. If you are looking for a celebration-focused funeral, or simply the furthest from a traditional funeral, there are multiple fun ideas you can incorporate in the memorial service. Choosing to shift the focus of a loved one passing to a more upbeat note by engaging the guests is a great way to start a grieving process. Attendants will need time to organize their thoughts and prepare their sentiments. Ask them to talk about the most memorable moments they spent together with the person; you can create a round table where the selected people take turns and raise a glass right after they finish their speech. You also need to keep in mind that leaving a spot for their closest relatives to tell a story is a must, they are the ones who have the most compelling tales. Instead of or alongside the guest book, consider having the attendants write a brief memory on a “leaf” and hang it on a memory tree. Not only does this allow guests to express their condolences in private, it provides the spouse, parents or children of the loved one with memories that they may not have been privy to before. The notes could be used later for a scrapbooking project or could be put in the casket. An excellent addition to the guest book is a letter box in which you ask all the guests to write up a letter of the invitation to the service dedicated to your loved one. This is a truly unique memorial service idea that provides closure for family and friends and gives them a more personalized way of saying goodbye. This box of letters would either be buried or cremated with the dearly departed or the spouse, parents, or children would receive the letters; be sure to specify to the attendants when requesting letters. A collection of pictures on a memorial table has become a staple at most funerals and memorial services. But a step up from that would be a photo slide show. It’s simple; just load pictures onto a USB drive in the order that you would like them display and plugging it into a TV with a USB port. Going in chronological order from the person’s first days on this earth all the way to the final days is a perfect way, to sum up, the biggest moments captured in snaps. Another one of those good memorial picture ideas fo all guests to enjoy, capturing the most rewarding moments will be a great experience for everyone to tear up with joy. If you know there will be a good amount of children present at the service, try getting them involved in a meaningful way. Ask a few how they would choose to remember the dearly departed and go from there. Because children’s imaginations are much more free and boundless, there are a lot of fun and creative ways they can come up with to incorporate in the tribute. 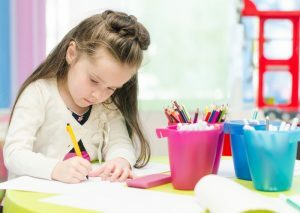 Things like a coloring station or a place to write a letter to their loved one is very therapeutic way for children to express their emotions, especially in a monumental event like the passing of a loved one. From there they can choose to either keep the picture or letter, or put it on the grave site, or in the casket. Any person who thinks about the day of their memorial service most likely does not want people crying or in pain during the service. In that spirit the individuals who organize the service should always keep in mind this crucial detail, they always have to be the ones who are most lively during the ceremony because staying active will help all the other guests be a little less sad. In the event of a death being more prepared for or expected, looking at incorporating a bit of humor may be a fun way to celebrate the passing of your loved one. 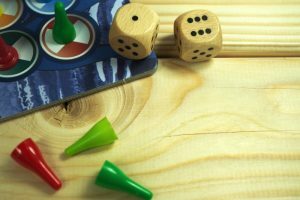 Consider hosting a game night and playing their favorite game. Or during the service, playing a game of “What Would ______ Do?”. This is a great way to jog people’s memories of their family or friend, and creates an open floor to share some enjoyable memories or capitalize on their sense of humor. Create a long lasting impression on all the guests; you have to set this up in a smart way where everyone can have fun and be as creative as they want. Set them up with all types of craft material to create a collage in an enormous wall, then leave them to create whatever they like that will remind them of this person. Try to keep that wall always available for every guest who wants to re-visit it in the future. An open mic night or celebrity roast format is a fantastic idea for anybody who liked a bit of banter in their life and cherished having a laugh now and again. An open mic night would work for individuals who want to keep the service enjoyable should get interesting. You can leave them to perform any song, slam poem, stand-up comedy set, or anything else they can think of to honor their friend. A celebrity roast format lets everyone have a laugh and remember what a great person their friend was. 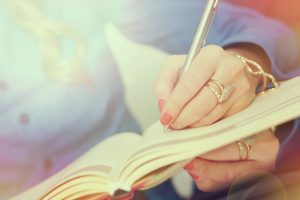 Often times, allowing people to share favorite stories and memories of a loved one is a great opportunity for people to start a grieving process themselves. It also is a great way to share laughs and tears about your loved one and hear stories you may not have otherwise known. Consider staging an open mic session of sorts for your memorial service or funeral and asking someone to record the stories shared, so you can go back and listen to them from time to time. Set up a station with permanent markers, maybe of their favorite color, with an object such as a rock, a large piece of reclaimed wood, or even a car bumper of their favorite model. Have the guests write a brief note, memory, or favorite attribute of your loved one on it. From there, you can choose to gather the stones and keep them in a container of sorts or spread them in a memorable spot. If you choose something like a reclaimed wood piece or bumper, mount it on a garage wall, or place it somewhere that would best fit your loved one’s memory. A wonderful way to honor your loved one and allow their memory to live on is by passing out tree seedlings. You can choose to have the family members hand them out to guests in small envelopes or in the form of plantable prayer cards. 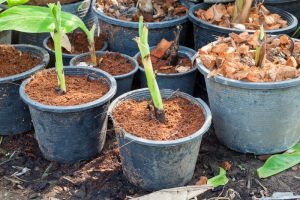 You could even prepare a few small plants to plant in the person’s honor during or after the ceremony, doing this will leave some remains of the person’s essence that will live on for even longer after everyone else has passed on. Finding a memorable (and legal) place to plant the tree is a perfect way to keep the memory of your loved one alive and growing. Another way to honor and remember the departed is through personalized charms or pins. Choosing a favorite picture, or even a few, and interchanging them in keychain picture holders, lockets, or pins is a great way to allow guests to have a visual memory to carry with them. Or you could go the route of a small pocket charm, a more gender-neutral idea. The charm could be a small cross or heart, or a more specific piece of memorabilia unique to your family or friend such as dog tags, bottle caps, or a handkerchief. A unique way to honor a loved one passing is to incorporate any of their favorite items, including books. Particularly if they were an avid reader, a great option is to gather their books and set them up at the service. Create a sign along the lines of, “Their greatest hobby of choice was to curl up with a book. 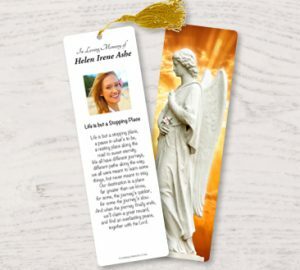 Please take a book as you leave in memory of them.” Inside each book, you can place a memorial obituary bookmark, which is laminated with rounded edges and a tassel of your choice. This allows each guest to have a personal memory of the loved one, as well as something they can look back on or use. Once you’ve compiled the photos of your loved on to use in the video or slide show during the service, it is easy makes those pictures into memorial photo albums for close family and friends. Truly, a keepsake that generations will cherish for years to come to remember their loved one. These can be printed affordably and quickly in time for the service or can be assembled after the service to include images of their final resting place. In many interviews after famous writer Hunter S. Thompson passed away, his good friend and famous actor Johnny Depp spoke about the last wish Hunter had of taking his remains and sending them on a rocket to space. Depp humored his friend’s final request and did just that, keep this idea in mind and regardless of how crazy their last wish was, you have to try at least to accomplish it. The ideas are endless; every single person has a wide variety of things they would enjoy in their memorial service. This can almost go without saying, the person who just passed away must have mentioned the ways in which he wanted to be serviced after passing. If that is the case, then you must fulfill their wishes and cremate their remains, bury them, or even turn them into a tree. Carrie Fisher for example, chose to be cremated and inurn her remains in a giant Prozac-shaped urn. Heath Ledger, who before tragically passing away at a young age, talked about his loved ones enjoying a day on the beach all together on the day of his memorial service. You could go crazy with this, get ready a July 4th type of fireworks show near the beach, maybe you can do this right after you throw the person’s ashes into the sea if that was their final wish. Having some of the most spectacular fireworks ready, maybe something that spells the person’s name in the sky is a nice touch. If you decide to cremate, designating the disbursement of the ashes can be either right after a memorial service, or later down the road. Regardless of what you choose, you can easily incorporate pieces of the memorial service into the scattering of ashes, such as doing a balloon release at the site of choice. Before moving forward with any plans however, make sure to check your local laws to ensure these practices are legal. If you use any of these ideas in your loved one’s funeral, at the end of the ceremony, you will want to aim for people leaving the place thinking about the amazing life their friend had, about their great personality, and a little bit jealous of such an enthusiastic memorial service. Maybe even some of them will leave the place wishing this person died more often, that way they can have more memorial services like that. Unless you are an ancient person with a more traditional type of upbringing, thinking outside the box when you talk about a dream memorial service for when you pass away is something everyone should consider. Whether you decide on a more traditional funeral, or a unique memorial service, Funeral Prints is here to help make it as special as your loved one. Our funeral programs, prayer cards, and photo book prints are customizable and can ship as quickly as the day of. With multiple layouts, we provide a quick and easy way to personalize each item, while taking care of the folding and distributing ourselves. Check out our wide selection and celebrate your loved one in a meaningful, special way.